SBD Insight: Can you, safely, suddenly find yourself in control of a vehicle? The 737 MAX, a twin-jet airliner series made by Boeing, is currently grounded by regulators in over 80 countries for an investigation into whether the automated flight control (autopilot) system is safe. Should this concern the automotive industry? Aircraft autopilot systems have less "unknowns" to manage than even the current autonomous vehicle systems, pilots are selected and better trained than drivers, the airline industry is more regulated, and yet it is now thought that, in multiple scenarios, an autopilot system that the pilots did not know was present ​had triggered incorrectly. Could we see similar problems with autonomous cars? Will cars and their systems be able to clearly communicate with their drivers? Cars will need less driver support as autonomous systems become more capable, but for the foreseeable future, they will need a driver as a backup. We’re not just talking about the Robotaxis of the future, these are cars that can be purchased now, cars that are an over-the-air update away from being able to, in certain circumstances, cover significant parts of a journey without driver supervision. Are drivers ready for this? For most journeys, the ‘driver’ will have no need to monitor traffic situations ahead, vehicle locations around them, even the route they are taking. But, in an emergency, the driver will need to take control of the vehicle, understand which functions the vehicle is still handling and which it isn’t, which systems are active, and take in why the vehicle needs assistance in the first place. Unfortunately, benchmarking has shown that the way vehicle and driver interact with each other, the HMI, is currently woefully inadequate for autonomous-capable vehicles. When the autonomous system realises that it cannot handle a situation, the vehicle will have to support the driver in the handover task. It needs to be a controlled handover, a supported takeover with gradual reduction in the support the system offers the driver. If the driver does not assist, the vehicle needs to initiate a minimum risk manoeuvre, such as to slow down or come to a stop. It must not simply plunge an unsuspecting driver into a situation that the vehicle itself is unable to handle. We cannot just hand over autonomous-capable vehicles to the public and hope for the best. Driver education will need to be managed. Vehicles, drivers and legislation will need to be optimised for these technologies. Driving licences will need to be revisited. For example, in the UK, student-drivers can choose between taking their test with a manual gearbox or an automatic. The catch is that if you take the test in an automatic, you are only licensed to drive an automatic vehicle, whereas the manual licence allows both. 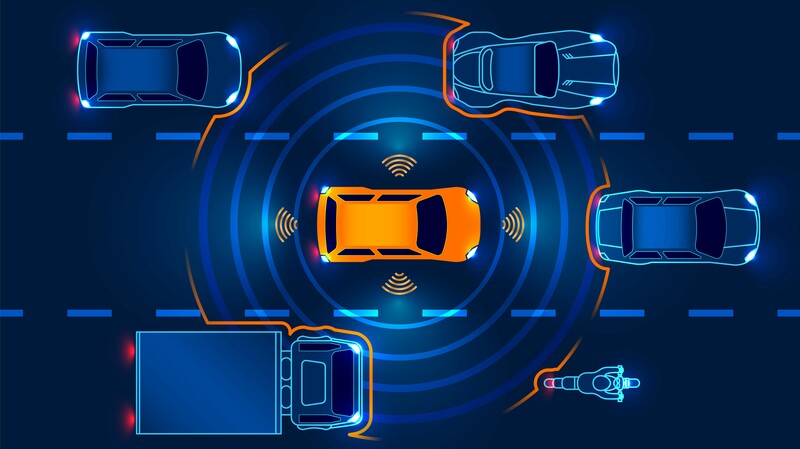 While it would sound like learning to drive an autonomous-capable vehicle should only allow you to drive other autonomous-capable vehicles,​ that should not be the case. Driving an autonomous-capable vehicle is an additional skill on top of driving a normal vehicle, not a lack of skill. Drivers will need to be trained for it. This is another challenge, as how do you train someone to safely, suddenly take control of a vehicle? Cabin-monitoring technology will be vital too. A driver needs to know exactly what their vehicle is capable of in a situation and, conversely, the vehicle needs to be able to tell what that driver is capable of too. Ultimately, a good HMI is essential. “Being on the cutting-edge of technology is not easy” says Dr. Alain Dunoyer, Head of Autonomous at SBD Automotive. “There is no road-map for a well-designed, well-implemented, autonomous-capable vehicle. There are risks, opinions and limitations, but, for the OEMs that get it right, the opportunities are huge".